Print a photo book full of memories. Spiral Bound Photo Books are the perfect thoughtful gift for any type of Valentine. Print an intimate boudoir book or a collection of family photos. Spiral Bound photo books are created using our single-sided Fuji Professional Paper bound with a black metal binding along a with custom front and optional back cover. 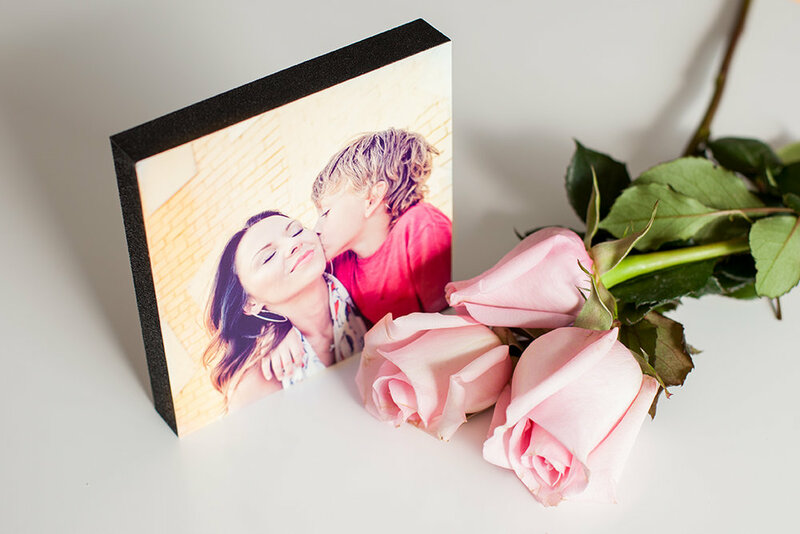 Print some of your favorite memories with your sweetie. These standouts are the perfect intimate size to print several and display as a collage on a wall. Or simply pick the most cherished images and set them on a tabletop or desk. Printed on our ever popular Fuji Professional Paper and mounted on a black standout. Save until February 14th at 11:59PM EST. No promo code needed. Sale does not apply to orders placed prior to the sale.